So, this has been a crazy week here in East Alabama. 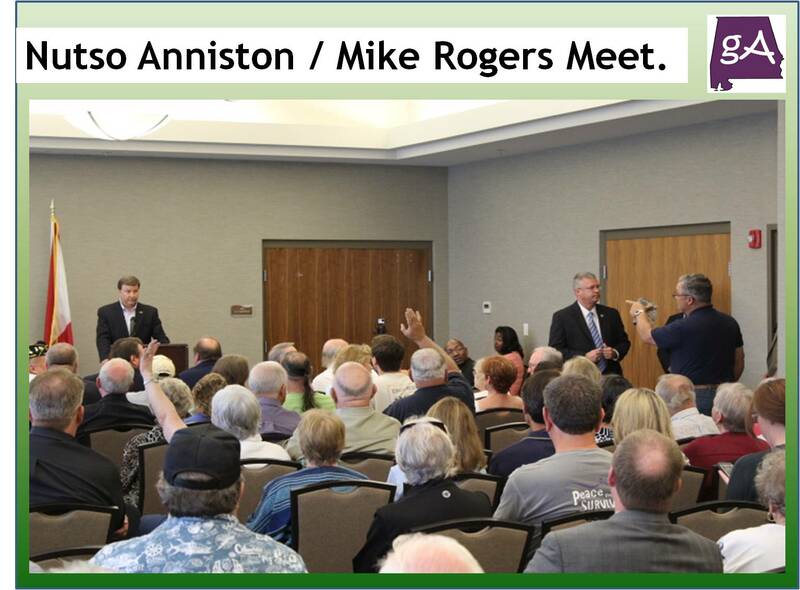 This week I went to two crazy governmental meetings from the City of Anniston and Rep. Mike Rogers. 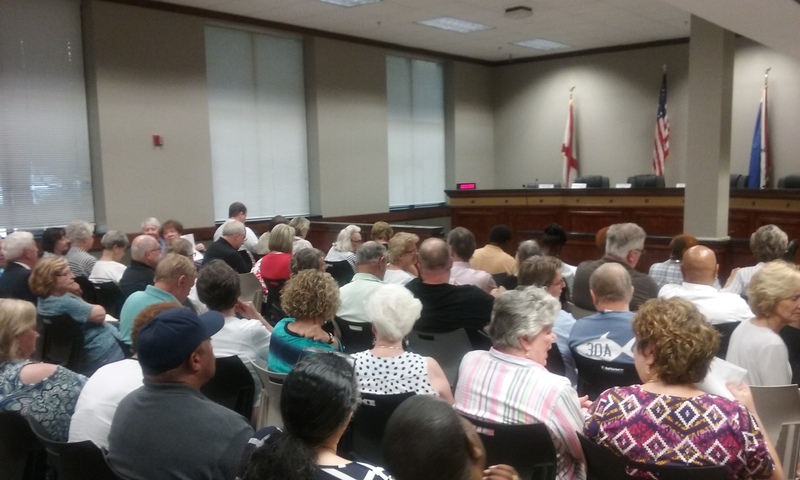 On Monday night, I went to an standing room only meeting of the Anniston City Council meeting at city hall. Lately, Anniston has been struggling, it has an major poverty and unemployment problem, it has an major crime and drug problem, the city can’t bring in any new businesses or jobs, and two of the councilmen are hellbent on killing off Anniston to get their ways. I’m mostly talking about David Reddick and really about Ben Little. On top of all of those problems, Anniston is now in the search for its third city manager in under one year. The city is in really deep trouble, and I am glad to see the chambers were packed! It was so packed the fire marshall had to keep people out. During the public comment section, several got up and spoke against Ben Little’s actions to in his own words “lock down the city” to get his way for schools to receive computers and laptops for its students. Yes, I support kids in the city schools getting computers, but it needs to be done in the right way, not shove it down on me, an taxpayer in Anniston. One person spoke very loudly to Ben Little, who in his words is bringing this city down. It was fun watching the loud words being spoken to Mr. Little. Another person who I am friends on Facebook spoke about how the city’s actions is hurting small businesses. But the best comment came from one person who used to live in Anniston and drove from Atlanta, GA to speak about how the city has come up with no solutions to fix its problems. Amen! Most in the room were growing tired of the city turmoil, but there were a couple of people who were supportive of Ben Little. In the back I saw a few people holding signs with two city council members on them. 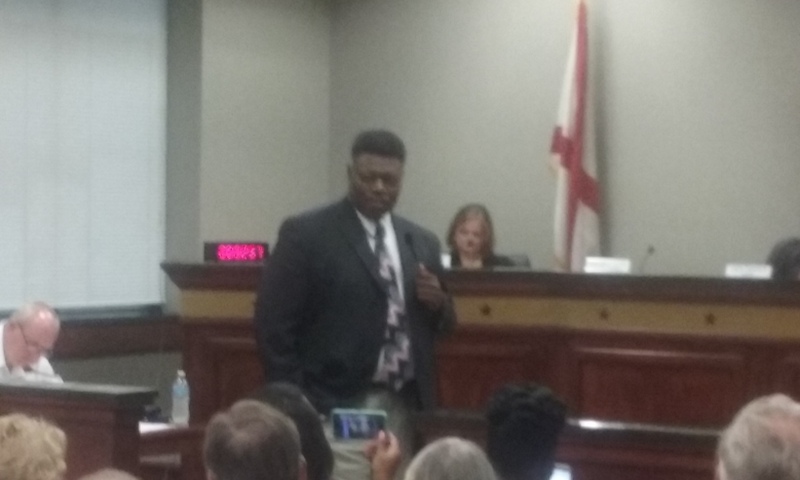 And yes, Ben Little got down from his seat, and spoke himself during the public comment section saying he is Ben Little and he will continue to do what he believes is best for Anniston. Huh, so what is best for the city of Anniston is to keep it as one of the worst cities in America? Look, I can understand why Ben Little was re-elected, the people living in his ward are struggling and unhappy. But seeing someone bully their way in city politics is the wrong way to go! After the council meeting, on my walk back home which is only a couple of blocks. 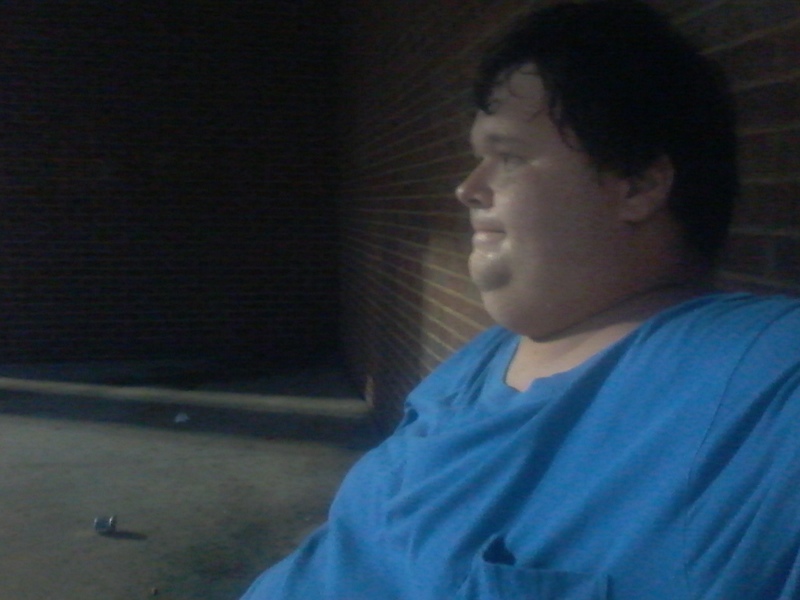 I encountered three homeless people who either wanted money, them spending the night in my apartment, or have them work for money. I told two of them their best bet was to leave Anniston and go somewhere else. Something I have told MANY people since I moved to Anniston. One of the homeless people had a bike and was saying things like “In Jesus name” and “God will bless you.” Sorry, letting you into my home is not the proper way to go! So, if that city council meeting was not crazy enough, let’s go to Thursday, where Rep. Mike Rogers held a town hall in Oxford. It has been a very long time since Mr. Rogers has held any town hall. When I got to the Oxford Civic Center, a group of people from Indivisible Alabama – District 3 were already there with signs. Here is a short video and photos from them. I never got an opportunity to get an ticket or was not invited on the media list. 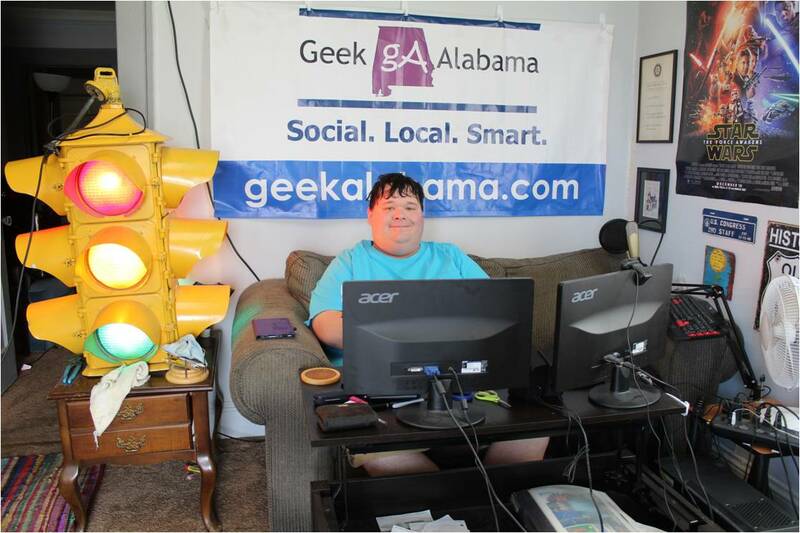 I mean, Geek Alabama is an media source! But I did get in and went to the back of the room. First Mr. Rogers talked about how healthcare reform is dead, which made some people very happy, like me! He also talked about how Congress will tackle tax reform and infrastructure spending next, good luck with that! Here’s some pictures! So, the three biggest things I took away from this town hall was first, one person stood up and talked about how Mike Rogers and his wife Beth Rogers worked and got campaign contributions with Mike Hubbard, the guy who was convicted of several felony corruption charges. Boy that was a fun exchange! It got so heated Mike Rogers suggested to take it outside of the room like a man if the person kept talking about his wife. Wow, that was some fireworks there! Second, some questioned why Mike Rogers does not hold more meetings with the voting public. His response, his staff is working to what people need in his district and it was laughable that he should be available more, not a good response. And third, Social Security. I am on SS Disability (SSI), and Rogers said that President Obama kept the disability program alive for a little more time. He did suggest that the government will need to work on getting some off of disability. And that concerns me. In Trump’s budget, there are big cuts to programs like SNAP (food stamps), and both SSDI and SSI, which I get both. So, if I see big cuts in food stamps and/or SSI, what do I do? Remember, Anniston/Oxford is one of the worst performing metros in all of the United States, jobs are scarce. I guess you are wanting me to move somewhere else? That costs money! Huh, that frustrated me. That will make my mom really happy. Before the meeting, I met and talked with Jesse Smith, who is an Democratic challenger to Mike Rogers in next year’s election. We talked about the struggles in Anniston/Oxford and Alexander City, where I used to live and graduated from high school. Yes Mr. Smith, I would love to do an interview with you! This area can pretty much use anything to give the economy an shot in the arm, which is horribly needed, and soon! So after attending both meetings, I left feeling not much is going to change. The City of Anniston will continue to crumble before our eyes, and District 3 will continue to struggle versus most areas of Alabama. Man, this area needs some fresh leadership, and fast!